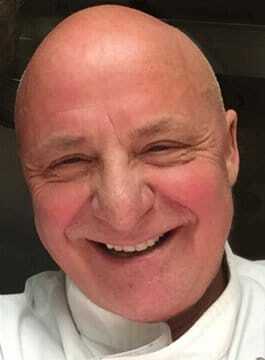 Aldo Zilli is an award-winning celebrity chef and restaurateur who specialises in Italian, vegetarian and seafood cuisine. He was the founder and chef-patron of some of London’s most exciting and innovative restaurants including Signor Zilli, Zilli Green, Zilli Café and Zilli Bar. His Italian seafood restaurant, Zilli Fish, was a Soho institution and had been open for over 15 years until March 2012 when Aldo decided to hang up the chef’s whites and embark on other ventures. Aldo has written 10 books including two autobiographies, Being Zilli and My Italian Country Childhood. He has also written for many publications including The Sun, and currently writes a weekly column for the Daily Express Saturday magazine. Great food and Aldo’s exuberant personality means he appears regularly on television and radio both as presenter and chef. His extensive credits include being a judge on Celebrity Masterchef in 2014 and 2015, Who’s Doing The Dishes?, The Alan Titchmarsh Show, This Morning and Daybreak for ITV, Put Your Menu Where Your Mouth Is, and Country Show Cook Off for BBC2, The One Show, BBC3’s The Real Hustle, and his own primetime ITV documentary Home Is Where The Heart Is. Aldo and fellow chef Enzo Oliveri embarked on a culinary journey across Sicily for the Good Food Channel. He has worked with many brands, including Thomson Airways and Philadelphia, and had a hugely successful TV ad campaign with Kellogg’s Optivita. Since selling his restaurant chains, Aldo has been busier than ever.